JAM Exam Pattern 2019 – Indian Institute of Technology, Kharagpur, released the JAM 2019 exam pattern for JAM 2019 to be conducted by the institute along with the admission notification. The exam pattern of JAM 2019 stated the number of questions, total marks and the sections and the duration for each subject. Candidates could check here the JAM exam pattern 2019 for details. 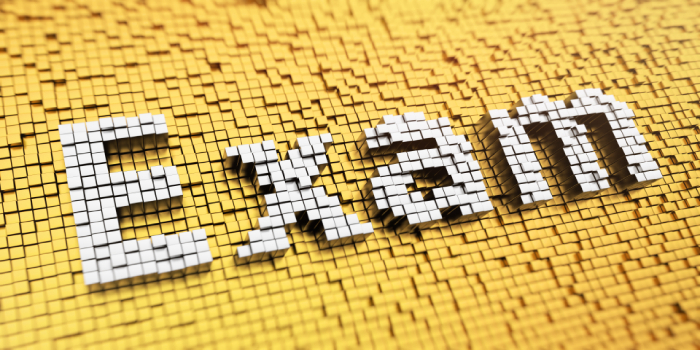 The exam paper for JAM 2019 was divided into three sections containing 30, 10 and 20 questions respectively. Negative marking will be applicable only for section A. As for the negative marking, for each wrong answer in the 1 mark question, 1/3 of marks will be deducted and for 2 marks questions, 2/3 marks will be deducted. No marks will be deducted for un-attempted questions. Each paper will have 60 question for a total of 100 marks. JAM 2019 was divided into two sessions which was held from 9 am and 2 pm respectively. JAM for 2019 was conducted on February 10, 2019. Joint Admission Test was conducted as part of the admissions to the various postgraduate programmes offered by the participating IIT’s. Given below is the detailed JAM 2019 exam pattern which mentions the number of questions, marking scheme, types of questions and the mode of exam. The question paper was divided into three sections for all the subjects. The details pertaining to each section is given below. JAM 2019 examination was divided into two sessions. The first session started at 9 am while the second session began at 2 pm. The list of papers under each session and their timings are given below. Do we Eligible for doing msc in genetics through jam? sir I got 17 marks in JAM Maths 2019 in general category, can I hope to admission in any NIT for Msc?